Meena Beauty Parlour is located in the heart of Mississauga on Dundas & Confederation. 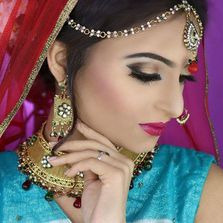 We are an Indian Beauty Salon in Mississauga and have been serving in this area for over 21 years. We are known to feature an experienced team of professionals that values their customer’s needs. We provide a wide range of services to fulfill our customer needs including waxing, threading, hair services, make-up, facial/bleach, laser, and microdermabrasion. We believe in providing our customers with the best quality of service at affordable prices. We also have a private room designed to provide quality hair care services for women who wear hijab. Consult with us today for your grooming needs! Call us now to book an appointment to ensure the best results. Method of Payments: Visa/Master, Paypal, Interac. Wednesday – Friday 10.30 AM - 8:00 PM. Saturday 10:00 AM - 7.30 PM. Sunday 10.30 AM - 6:00 PM.